Traditional T-Shirt Franzl in beige. 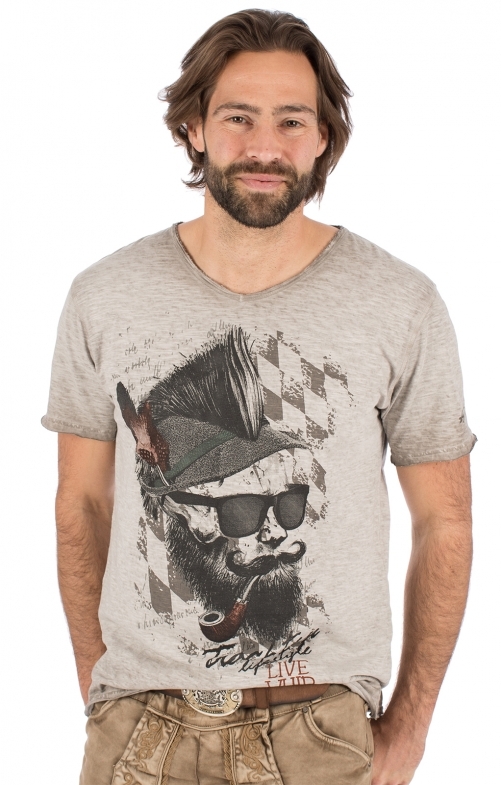 The trendy V-neck and the printed Franzl with sunglasses and smoking pipe attract attention. The T-shirt in the colour beige fits any traditional trousers and can also be wonderfully worn with jeans. With it you can show your love for traditional fashion. Wie beschrieben , super !